Tyson Foods brand frozen chicken wings are pictured in a grocery store freezer in the Manhattan borough of New York City, U.S. May 11, 2017. 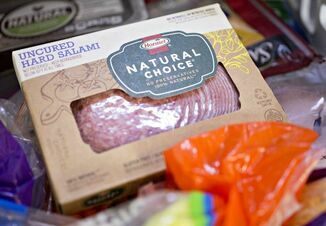 The distributors sued companies including Tyson Foods Inc, Pilgrim’s Pride Corp, Sanderson Farms and Perdue Farms in separate complaints filed in federal court on Tuesday. The U.S. chicken sector, which is dominated by these large meat companies, has come under increased scrutiny in recent years as customers and farmers have alleged antitrust violations relating to pricing, production and compensation. 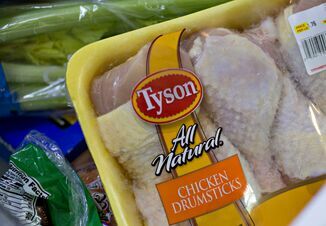 Tyson, the biggest U.S. chicken company, and Pilgrim’s Pride denied the latest accusations. Sanderson Farms said it will defend itself against the claims, while privately held Perdue declined to comment. Tyson shares were down 3.9 percent in early afternoon trading, and Sanderson Farms shares lost 3.3 percent. 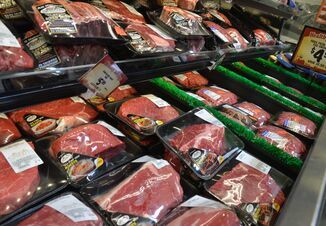 Shares of Pilgrim’s Pride, mostly owned by Brazilian meat packer JBS SA, were down 5 percent. U.S. poultry buyers previously claimed in a 2016 lawsuit that Tyson and its competitors had colluded since 2008 to reduce output and manipulate prices. U.S. chicken processors last year were earning some of the highest profit margins in more than a decade as prices for corn and soy used to feed birds slumped due to a global grain glut. The cases are Sysco Corporation v Tyson Foods Inc et al, U.S. District Court, Northern District of Illinois, No. 18-cv-00700 and US Foods Inc v Tyson Foods Inc et al, U.S. District Court, Northern District of Illinois, No. 18-cv-00702.